Last time we left off in Sneads. Next stop, the Apalachicola River, which is the divider between Central and Eastern time. Immediately followed by Chattahoochee and Gadsden County. As you approach, though, look for a turnoff on your left for the West Bank Overlook. The overlook will give an excellent vantage point to see Lake Seminole and the Jim Woodruff Dam, which created the lake. After that, get back to US 90 and head east. Go as slow as you can without causing a traffic jam, ’cause you’ll be crossing one of the most impressive bridges in the state, over the Apalachicola River. When you can, drive it in the opposite direction. It’s pretty amazing that way too. Once you’re across, take a right just after the Hardee’s. The short windy road will bring you to a park on the river. You can also see the remnants of the original bridge across the river, called the Victory Bridge. It’s fenced, so you can’t get on it. But you can get a sense of what it was like, way back when. Also around here, maybe, is another branch of the Apalachicola Maritime Museum. Maybe because I dunno if it’s been finished yet. From here, you can get to my third favorite state park in the area, Torreya. Unlike Falling Waters and Florida Caverns, though, it’s not near US 90. I covered it in my SR 20 post, so check there for more about why the park is such a treat. For a few miles east of Chattahoochee, you’ll be very close to Georgia. When I’m so close to another state, I like to cross the state line, just ’cause. Thought I’d let you know. Keep open the eyes, so you don’t miss the Joshua Davis House on your left. 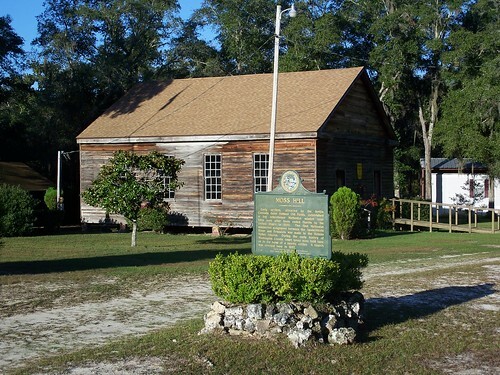 There should be a brown Florida Heritage sign that’ll help you find it. The house seems to be in use, maybe as a museum. It was closed when I was there, so I couldn’t say for sure. There used to be an old octagon house along here, but it got destroyed years ago. A detour south on SR 12/SR 65 will get you to Greensboro and the Dezell House. It’s a classic example of an NRHP house, as far as usage goes. Most houses on the NRHP fall into a few categories. That being: private residence, B&B, doctor’s office, lawyer’s office, real estate office, history museum or headquarters of the local historical society. The Dezell House falls in the last category. Have you noticed that Gadsden County is spotty with NRHPs? One here, one there, another over there. Well, that’s about to change, ’cause it’s time to check out the city that shade tobacco and Coca-Cola built. 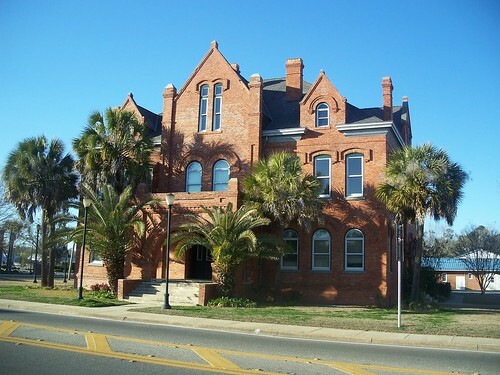 The county seat of Gadsden county, Quincy. Return to US 90. Eastward and you’ll be in the Quincy Historic District, which encompasses downtown Quincy and several blocks surrounding it. I remember when I first got to Quincy early on a November morning. The county courthouse is a treasure, rather like the one in Citrus County. The old Marion County courthouse was that style, but it got torn down decades ago. There’s just a little more of Gadsden to see. East on US 90 and in about 15 miles you’ll be on the edge of Tallahassee. But perhaps the quaintest part can be found by taking SR 12. First you’ll pass the old Nicholson Farmhouse. It was run as a restaurant for years, but unfortunately closed in 2006. It’s easy to miss, look for the historic marker on the road. Not long after that, you’ll be in Havana. And you’ve not even been on a boat. Wow, that’s US 90 done, from Pensacola to Jacksonville. OK, I’ve not done Jacksonville yet. But still, 90 percent done. Yeah, me. ‘Til next post, see you on the road!